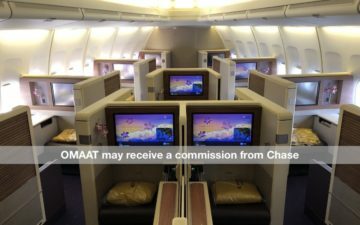 Chase has just announced that starting January 5, 2012, Southwest Rapid Rewards will become a transfer partner of Ultimate Rewards, the program associated with the Chase Sapphire Preferred® Card and Ink Business Preferred℠ Credit Card. Oddly Southwest has been the “missing link” for a while, given that you can transfer Ultimate Rewards points to just about any program they have a co-branded credit card with, including British Airways and United on the airline front, and Hyatt, Marriott, and IHG Rewards Club on the hotel front. Now of course I’m not rushing to transfer points to Southwest, but it’s yet another option that makes the Chase Sapphire Preferred® Card the most well rounded card in the industry. The Chase Sapphire Preferred card is literally a Chase “super card,” worth well more than the $95 annual fee that comes with it. Hell, if they added a couple more benefits, they could slap on an American Express Platinum-esque annual fee and probably get away with it. Southwest points can be redeemed towards any Southwest flight and each point varies in value depending on the type of fare you redeem for. I really have to wonder about the economics behind these cards as they relate to their airline and hotel partners. In other words, aren’t the airlines and hotels slowly getting miffed that Chase has created a card that earns more points for everyday spend than the individual card with the program does? Take the ￼Southwest Rapid Rewards® Premier Credit Card, for example, which earns one point per dollar on all purchases and two points per dollar on select travel categories. The Chase Sapphire Preferred card offers the same. That doesn’t even factor in that Ultimate Rewards points are so much more flexible than Rapid Rewards points, since you can transfer Ultimate Rewards points instantly to all of the above programs. The only thing worth noting is that points transfers from Ultimate Rewards don’t count towards a Southwest companion pass. 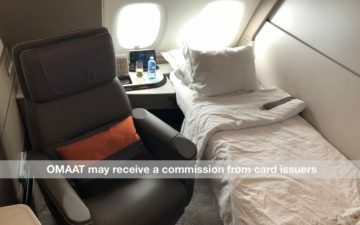 As more and more savvy consumers turn to the Chase Sapphire Preferred® Card, I have to wonder at which point Chase will get a bit of backlash from the airlines. $99 fares are back between San Francisco/Los Angeles and Chicago on American! If I transfer UR points to a mileage program, Chase must still purchase those miles, whether I use the branded card or the Sapphire. So not sure how much the mileage programs care, other than from the advertising benefit of the branded card. 1) The argument for co-branded credit cards is always that it will increase loyalty among a consumer with that brand. I forgot what the figure was, but in a marketing class a couple of years back we had someone speak to us from a major department store that said just how much more a consumer spend at that store a year when they have a co-branded credit card. 2) When someone earns miles directly in a mileage program there’s a decent chance they’ll never be redeemed. Typically when transferring points to a program, though, you do so with a specific use in mind. 3) Chase is in a way directly competing with mileage programs by offering a “pay with points” option. For the average consumer, being able to pay 25,000 points for a $250 ticket is a steal.